Any relationship faces hurdles at one point or another along the way. Some of them are just rough patches that the two people involved manage to work out, while others may cause an irremediable breakup. It is up to you to notice the issues present in your relationship and opt for working on them instead of just avoiding them. Don’t let time pass when you notice something is wrong or not working out. Things that affect one person or even both people in a relationship have a way of festering and resurfacing if you opt for burying them and turning a blind eye. The best advice anyone can give you is to address issues as they appear, so you can solve them or at least start to work on resolving them right away. Each person has his or her quirks, pet peeves, or favorite things to do. When couples fight, it often happens because there is a lack of understanding each other’s boundaries. You might like to drink your bitter fix from a travel coffee mug, while your partner may prefer to sit at the table and sip his or her coffee for minutes. Each one is different. Learn what the differences between you two are, and respect them. Give each other space and don’t suffocate each other. These simple rules can be a guarantee for long-lasting relationships. It is easy to blame it all on your partner, and never acknowledge yourself as part of the problem. If you two are facing a difficult situation, just jumping to conclusions and accusations will only make the other feel hurt and offer an excuse to retaliate with allegations of his or her own. In the heat of an argument, it is easy to let words fly, and some of them can be hurtful and downright insulting to the other. No matter how much you regret afterward, it is impossible to take such words back, and your partner might never forgive you for saying them. So, if you want to avoid a breakup, don’t hurry to call the other names and say hurtful things. That is the surest way to get you closer to the breakup you are trying to stay away from. Even if no breakup at the horizon could threaten your current situation, this doesn’t mean that you should take your partner for granted. Don’t forget to say how much you love the other, and always be ready to offer kind words and tell your better half why you love him or her. Someone who feels appreciated and loved in a relationship will have no reason to call for a breakup. Sometimes, people make the mistake of focusing on their partner, while neglecting their own needs. 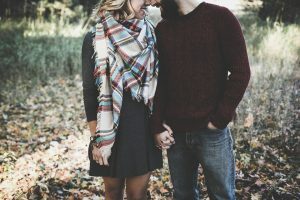 While you may feel tempted to believe that offering everything you have to the one you love is the surest way that you will never be abandoned, this sort of behavior can become the root of your relationship problems. If you find yourself angry, dissatisfied, or bored, it may be because your own needs are not met. It is difficult to maintain a healthy relationship when you feel like this. Pay attention to what you need, as well, and let your partner know how he or she can help you. The path to a breakup is often paved with little lies. Even if there are no big things you prefer to lie about, and you think that they cannot hurt the other, the problem with lies is that they tend to come to light, and each time, such a thing happens, your partner’s trust in you takes a hit. Don’t get into a relationship with the preconception that your partner will leave you at one point or another. Anyone who does such a thing or behaves like they are getting ready for a breakup will only cause suffering in the other. And, in the end, the outcome will be exactly that. So expect your relationship to last, and bring that positive attitude with you. Your partner will appreciate it.